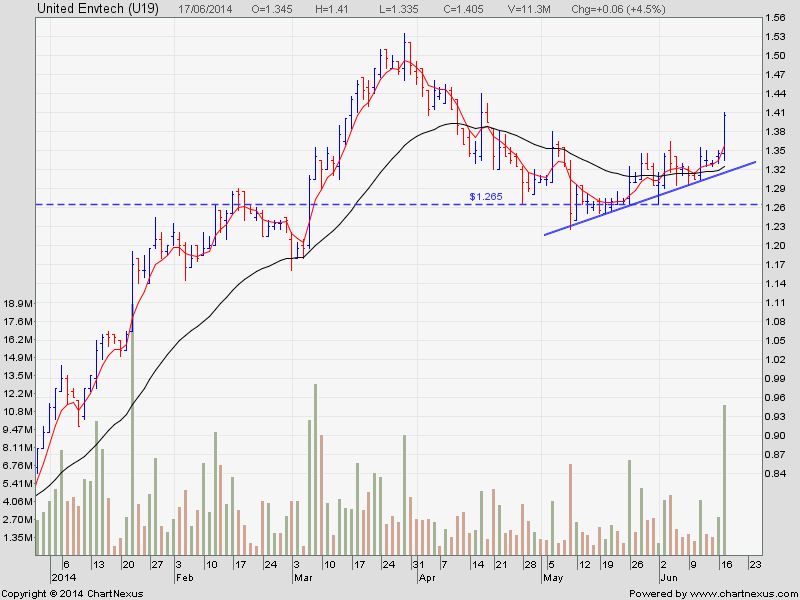 United Envtech have resumed its uptrend after a two month pullback. Today it broke the resistant of $1.365 with high volume. Now is a good chance to enter this stock and ride the uptrend again.